The World Snooker Championship may not seem like the most obvious event to cover on an arts website. Some would even object to it featuring on the sports pages – it’s a pub game, they cry. But anyone who’s tried to (badly) navigate a cue ball around one of the giant sized tables that they play on will attest; it’s a clumsy business. But, when watching Ronnie O’Sullivan, his artistry is obvious. The cue is his paintbrush, the balls are his palette, the baize is his canvas – there is something about the spectacle of watching O’Sullivan in full flow that lends itself to hackneyed artistic analogies. I have a friend who records every hour of televised snooker, and insists on watching it on 4x speed as he returns home from work. A curious habit perhaps, but there are only so many hours in the day after all, and sometimes when watching the snooker, it can feel it has time-bending qualities. It’s a marathon safety session between two blokes that the adjective dour could have been invented for. On occasion the game offers the viewer similar effects to a mild sedative. Ronnie O Sullivan transcends all that. He’s box office – when he’s in his pomp he is, to put it bluntly, beyond sport. Set against a sea of journeymen who look like they only ever see daylight during fag breaks and fire alarms– he’s a different breed. 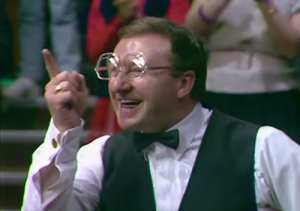 Mixing with Damian Hirst and The Rolling Stones he brings a rock n roll factor to a sport which would count Dennis Taylor’s glasses in 1985 as one of its most daring moments. Hirst himself has noted the links between O’Sullivan’s version of snooker and his own talent – it’s the mathematical and geometrical process of creating art mixed with a risk taking, mercurial mind-set that they both share. When he’s flying O’Sullivan could seemingly fit square pegs into round holes. We’re coming up to the 20th anniversary of his outrageous 5 minute 20 second maximum break; one of the purest and most dynamic displays of sporting expression ever seen. There’s a precision to his play that is above all incredibly satisfying to watch. He moves around the table like a predator, picking his shots on instinct alone. It’s an instinct grounded in serving up an aesthetic that is pulsating, crowd-pleasing. Hirst has called snooker the struggle between ‘the grid over the landscape’, and O’Sullivan makes something so clinical look beautiful. 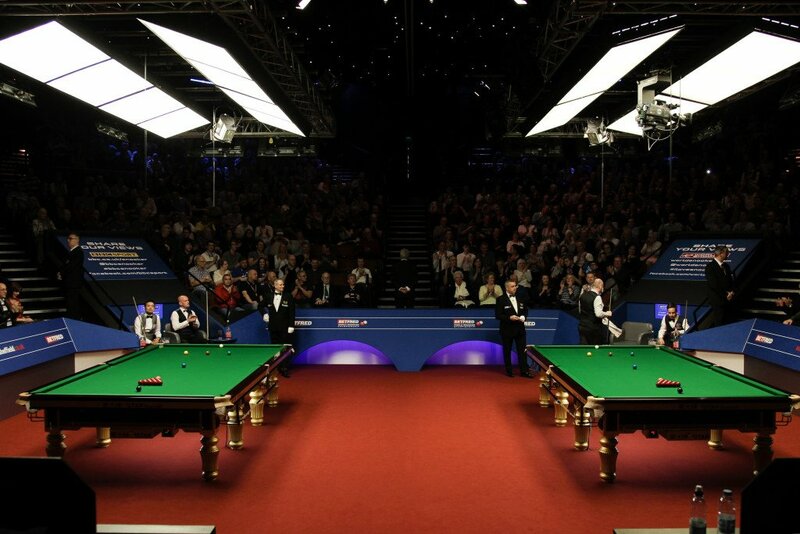 The Crucible Theatre for most of the year serves as a successful playhouse, but since 1977 it’s most famous for housing Snooker’s premier event. 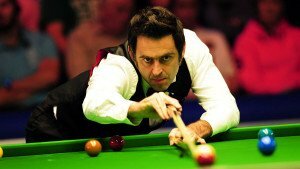 The dramatic pull of snooker in Sheffield has been tackled twice this year – on stage by Richard Bean’s The Nap, and in the BBC’s The Rack Pack but when the Ronnie O’Sullivan show rolls into town it will perhaps be more dramatic and suspenseful than any of the year’s celebrated productions set on the baize. Though after saying all that, he’ll probably get dumped out in the first round – and therein lays the beauty of sport. The tournament runs from 16th April – 2nd May. More info at http://www.worldsnooker.com.